Day three was a special one. 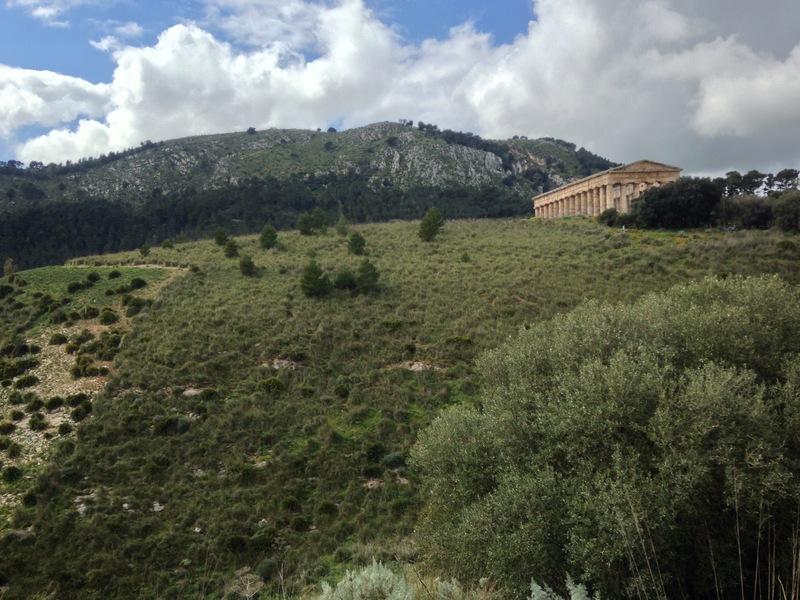 Here’s a photo from our fantastic excursion to Segesta, where we saw a beautiful Doric temple — my first Greek temple, in fact. We cooed at stray dogs while Professor Boyd showered us with knowledge and teased out the eccentricities of this particular temple (columns not fluted! weird lifting nubs still visible! ).